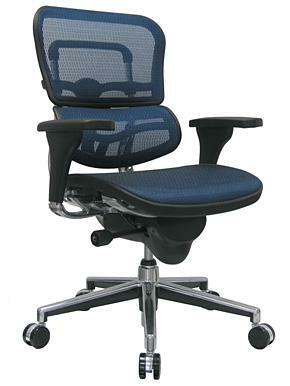 Description: This chair features a mesh seat and mesh back with all adjustability as listed above. Mesh lumbar offers exceptional support. Only difference between task and executive is the headrest. Colors: Click link at left. Please call for additional fabric and custom color options. 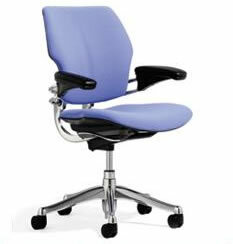 Description: The Freedom Chair is designed to provide the best of ergonomic benefit with simplistic controls. The Freedom is designed for movement, which is required for healthy body and seated posture. Adjustable backrest, seat height, and depth are included. Description: This chair is designed for users who need extra support for the spine resulting from injury, surgery, or back pain. 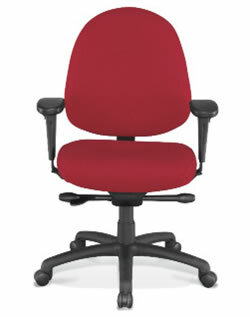 Has all adjustability as listed above as well as inflatable lumbar support. 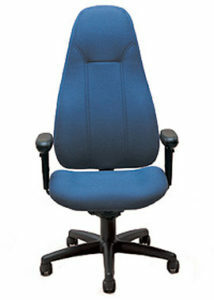 All BodyBilt High Back chairs provide exceptional comfort with upper and low back support. 10-Point Posture Control adjustability puts at your command the tools to address and alleviate stressful aches and pains so often escalated by inferior chairs. The contoured seat on this model features passive weight distribution via surface contact that encourages proper-seated posture and cushions the high-pressure points that lead to discomfort on flat seat designs. For special needs, an array of optional features is offered to address almost every seated task in the office. Colors: Liberty is our least expensive fabric, and the most durable. Comfortek is our most popular ergonomic fabric, as it stretches the best and with our memory foam(included), you will feel as though you are floating on air. We highly recommend Comfortek as the preferred ergonomic fabric option. For 100’s of additional fabric options please call. Ergo tips: Bodybilt chairs are available in various sizes and are ideal for individuals with Lumbar back pain. Description: This chair is rated for users up to 500 lbs. 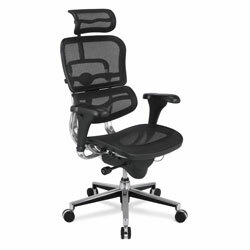 Has all adjustability as listed above as well as inflatable lumbar support. Ergo tips: The Body bilt comes in larger sizes and is ideal for individuals with Lumbar back pain. 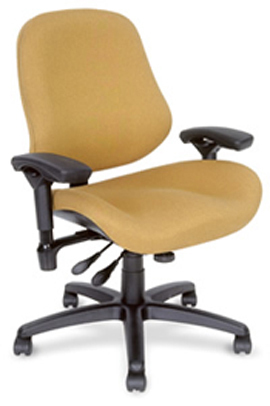 Each of these chair options has the adjustability features that make them truly ergonomic. Each features height, tilt, seat pan depth, back height, and arm adjustabilty. These products are currently being used by fortune 500 companies and Universities verifying their reliability and effectiveness. These chairs have gone through rigorous field testing and meet all of the ANSI and BIFMA requirements for commercial office buildings. 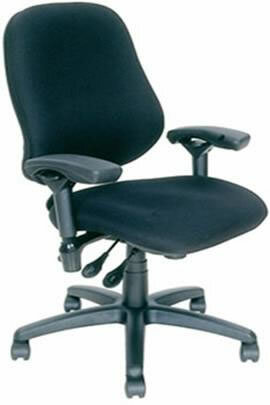 Each of these chair options have all the adjustability features you need to be comfortable at work. Each comes with a 5 year warranty and money back guarantee.